Are candida albicans fungus? Are they a bacteria? What exactly are they? In our gut we have 4-6lbs (2-3kg) of micro-organisms, you can also call these bacteria or microbes, and there are around 500 different species. In a healthy gut we have around 80% good guys and 20% bad guys. Some bad guys are actually needed but like anything in our body, it’s all about the balance. 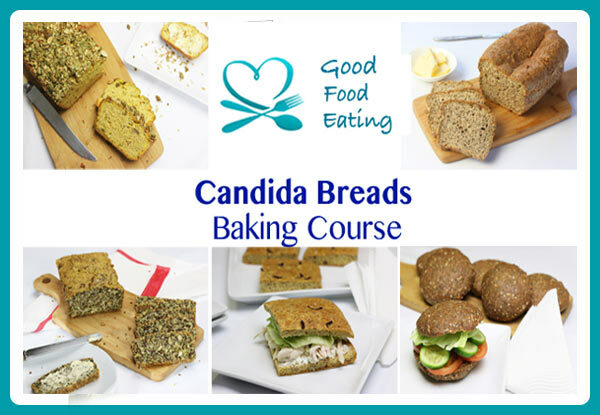 One of the bad guys is candida albicans, a yeast like bacteria that all of us have but when it gets out of balance can start causing havoc on many different levels. The candida albicans become like a fungus much like mould that grows and spreads. You might have heard this called a candida overgrowth. The candida albican fungus actually develops roots known as mycelia that can penetrate the gut walls, enter the bloodstream, and can settle itself in other tissues in the body. So it really is like a mould that can spread, grow and colonise in different areas. Therein lies the problem because it can create full blown systemic candida that can show up in various different symptoms in the body (we’ll cover that in a future post). 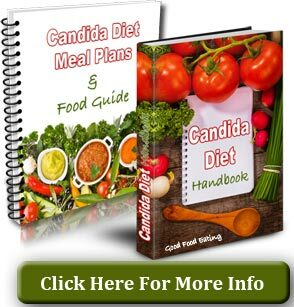 Candida also produces toxins and with this leaky gut situation occuring, it’s not only the toxins that candida produce that become a problem but also the fact that other microbial toxins and partially digested food can reenter your bloodstream. This is the stuff that’s meant to be eliminated from your body, not reabsorbed. So you can start to get a bit of a picture of how this might negatively impact your body and health. 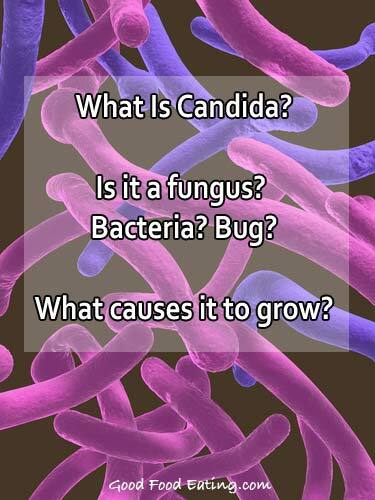 What causes candida to grow? The food we eat feeds our mirco-organisms but sugar is the one biggest contributing factor to the growth of candida albican fungus. If you’ve ever seen how beer is brewed or bread is made you would know that sugar is used to activate the yeast. The same thing occurs in our gut. With our growing overconsumption of sugar it is not unlikely for many people to have a possible problem with candida albicans and an imbalance in microbes in the gut. Another contributing factor is our mass use of antibiotics. Although these are necessary in some circumstances, they are now being over prescribed and overconsumed and the unfortunate part about that is it kills the good guys and lets the bad guys roam free. We’re also consuming antibiotic residues in conventional meat products and this can add to our body’s toxic load. Anti-inflammatory drugs such as NSAIDs are also a contributing factor that imbalances gut bacteria and many more people are taking these to aid their aches and pains. Steroid medications such as inhalers, HRT, the contraceptive pill, and creams for fungal conditions can also produce the same outcomes. Of course in some circumstances these things are unavoidable due to health concerns but there are ways to minimise the effects and if possible on consultation with your doctor, reduce or eliminate them. Yes everyone can get it but not everyone does. As mentioned above we all have bad guys in our gut but when it comes to developing an imbalance it comes down to our individual immune system and also how bad our diet and lifestyle influences might be. 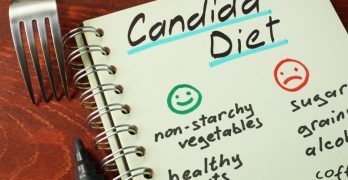 For those of us they may get candida, our immune system can grow weaker and as this happens the candida can grow stronger. The truth is some of us may be more susceptible to candida albican fungus than others. I first suffered with candida 14 years ago when I was younger and at the time I had no idea what was going on. I had various symptoms such as itchy ears, neverending mucus, some sleeping issues, aches and pains, lack of energy, mild depression, and I couldn’t lose weight. I was 23 at the time and ate what I thought was a balanced healthy vegetarian diet (and for the most part it was) and yet struggled with all these problems. It wasn’t until I found a great Chinese medicine pratitioner and acupuncturist that I finally identified the problem and we got a hold of it through diet and supplementation. Since then I’ve done A LOT of research on the topic because I wanted to know all about it. A few years back I got it again due to a highly stressful situation and the overconsumption of sugar, so there I was having to turn it all around AGAIN! All of the valuable informaton I’ve learnt over the years and through my nutrition research has been put into the Candida Diet Handbook. There is also loads of delicious food inspiration and help with the meal plans and food guide to help make the process of healing easy and enjoyable.